Home / Banking / How to Open a Fixed Deposit in SBI ? How to Open a Fixed Deposit in SBI ? Open Fixed Deposit in SBI : State Bank of India is undoubtedly the best bank in India providing a lot of banking products for its customers. If you have saved a large amount of money, it is a good idea to get a SBI Fixed Deposit with that amount. In addition to the Fixed Deposit Amount, you will be getting a fixed interest from the Bank, depending upon the Amount and Period of Fixed Deposit. However, the interest will be taxable. When you open a Bank Account in SBI, you can open a fixed deposit as well. Even at a later stage if you are planning to open FD in SBI, you can get it. In this Article we will tell you the procedure to open fixed deposit in SBI. Don’t forget read one of our previous articles on how to get Credit Card against Fixed Deposit in SBI. Fixed Deposit is considered to be a safer investment option as compared to other investments like shares or the mutual funds. Opening a fixed deposit account in SBI is a quick and easy process. What you have to do is to just deposit money to open FD account for a given period of time and enjoy the interest. Before we tell you the complete procedure to open Fixed Deposit in SBI, let us tell you what is a Fixed Deposit. What is a Fixed Deposit ? A specific deposit of money which pays higher interest as compared to a Savings Account. The customer needs to open a fixed deposit for a period of time. The period can be short term or long term. Depending upon the increase in the period, the bank offers a higher interest on the amount. Fixed Deposit is also known as term deposit. SBI offers short-term deposits in which interest rates varies from 5.25% p.a. – 7.25% p.a. which is compounded quarterly. The term available are 30 days with 5.25 % ROI p.a, 60, 90 and 120 days with 6.5 % ROI p.a., 6 months with 6.75 ROI p.a, 9 months with 7.0 ROI p.a. The FD with a tenure of 1 yr earns an interest of 7.25% p.a. SBI offers medium and long-term deposits in which interest rates varies from 7.0 % p.a. – 7.5 % p.a. which is compounded quarterly. The term available are 1.5 or 2 years with 7.0 % ROI p.a, and 3, 4 or 5 years with 7.5 % ROI p.a. How to Open Fixed Deposit in SBI Online ? 1) Login to Online SBI Account using your Internet Banking Username and Password. 2) Select on the E-Fixed Deposit option on the Top Menu. Once you click on the E-Fixed Deposit Tab, you will reach another page. 3) Select e-TDR / e-STDR (Fixed Deposit) radio button and click on Proceed. 4) Enter the Amount of which you want to open the Fixed Deposit & Scroll down. Note : Senior Citizens must click on the box which says ‘Senior Citizen’. Kindly note that Senior Citizens get higher Interest Rates on fixed deposits of Rs.10,000 & above. Once you select the Term Deposit option, tick mark on the box corresponding to ‘I Accept the terms and Conditions’ and click Submit button. 6) Soon after you click Submit button, your SBI Fixed Deposit Account will be opened. Note : FD Account in SBI can be opened only between 8:00 am to 8:00 pm on all working days, otherwise it will be scheduled for next working day. Your SBI fixed deposit account will be mapped to the Net Banking account. You will be notified at the time when your Fixed Deposit is going to mature. This is done so that you can take necessary action for it. This is the complete process to open Fixed Deposit in SBI Online. Let us now know about the process to open SBI FD by Branch Visit. How to Open Recurring Deposit in SBI ? How to Open SBI Demat Account ? How to Open Fixed Deposit in SBI by Branch Visit ? 1) Visit the SBI Branch in which you want to open your Fixed Deposit Account. 2) Collect the SBI Fixed Deposit Account Opening Form from the Accounts Executive. 3) Fill up the fixed Deposit Form carefully, re-check the filled up form and put your signature wherever needed. 4) Submit the self attested Copy of your Address Proof and PAN Card along with the FD Form to the Accounts Executive. 5) Once your FD Form and Documents are verified, you will need to deposit the FD Amount through the Cash Deposit Window. 6) Finally, your SBI Fixed Deposit Account will be opened and you will be given your FD Account Number and related documents(if any). 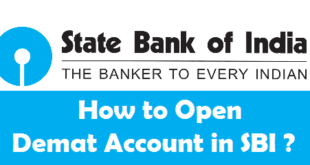 This is the complete process to open Fixed Deposit in SBI by visiting SBI Branch. You might have noticed that opening a FD in SBI is quite an easy process and does not take much time. Although both online and offline processes are simple, but it all depends upon your convenience which one you want to use. If you have Internet Banking Account in SBI, you can easily open a Fixed Deposit in SBI in not more than 4-5 minutes. At any point of time you also have the option to close Fixed Deposit in SBI. How to Activate Internet Banking in SBI ? How to Activate SBI ATM Card ? How to Get New Passbook in SBI ? How to Apply for Cheque Book in SBI ? How to Add Joint Account Holder in SBI ? Previous How to Close a Bank Account in Karur Vysya Bank ? Next How to Check City Union Bank Account Balance by Missed Call ? 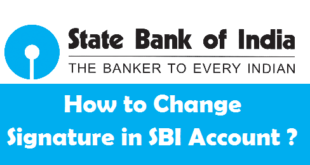 How to Change your Signature in SBI Account ? 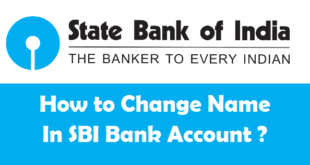 How to Change your Name in SBI Account ? 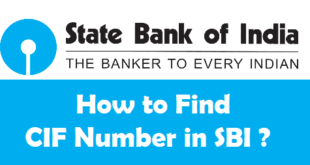 How to find CIF Number in SBI ? How to Open Demat Account in SBI ? How to Close a Fixed Deposit in SBI ? 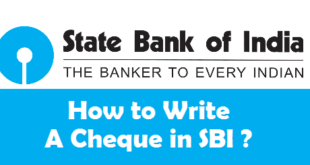 How to Write a Cheque in SBI ? 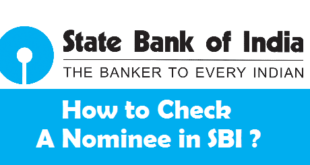 How to Check Nominee in SBI ? how much interest I will get on fixed deposite of ₹ 3,00,000. for a period of say 29 days ,what is final amount I get after 29 days. On a Fixed Deposit of Pricipal Amouont of Rs.3,00,000 for a period of 29 Days, You will get Maturity Amount of Rs.301304. Rs.1304 will be your interest.